This intro level class focuses on communication and relationship building by practicing and perfecting the Top 10 Behaviors all dogs need to know. These semi-private classes are a perfect way to start a relationship with a new pet or restart training with a current one. 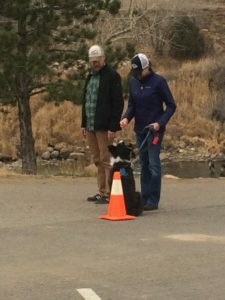 Classes are held in the La Plata County Humane Society multi-purpose room. Having a dog who reacts badly to other dogs can ruin an otherwise great relationship. At pranaDOGS we want to help you improve your relationship and give your pup a chance at a better life – and probably more walks! 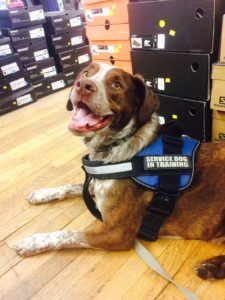 Training a Service Dog involves training that dog on a number of behaviors and then proofing those behaviors in different settings, with different weather conditions and when you’re in different states of mind.